The Snow Performance Stage 1 Boost Cooler® water-methanol injection kit is available for all forced induction applications (supercharged/turbocharged). Operation is simple and reliable: the system starts injecting when the boost switch reaches the user-adjustable point and injects a fixed amount of fluid through the nozzle until boost goes below the set switch point. 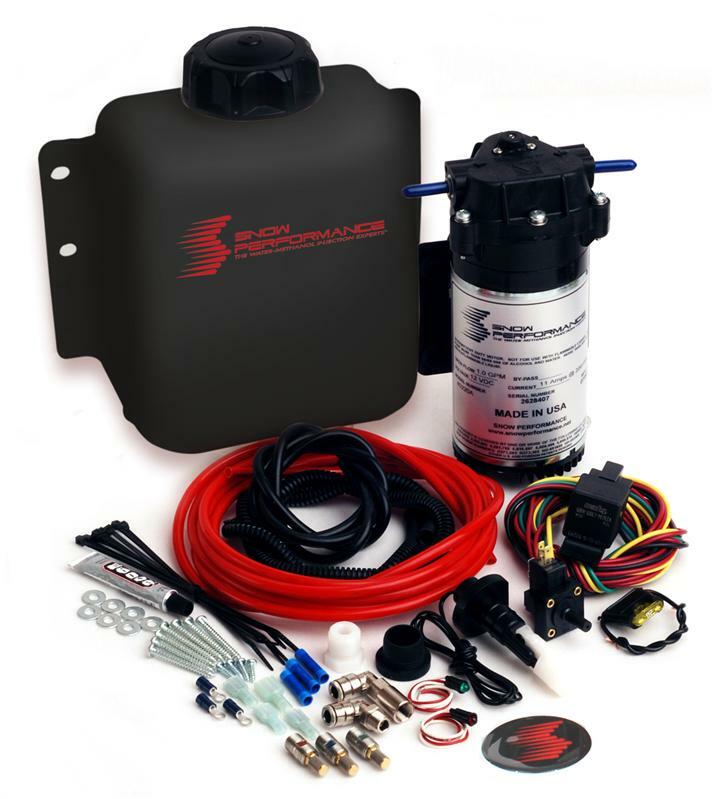 Proven to deliver 30-70 HP increases to all forced induction applications! This makes it a good choice for low to medium boost setups (1-15 PSI) looking for an octane enhancement and cooler intake charge. Activation can also be set up through any other user-chosen switch, such as a full throttle switch, nitrous switch, etc.